If you love what you’re doing and have fun doing it, then you never work a day in your life! Together Tanny Por (whom you may know from The Fourth Continent) and Mads Pihl created these stories that bring you on board with the expedition! They are posted daily in Danish on Sermitsiaq.ag, one of the national media, and in English on The Arctic Journal, so keep checking back for their latest adventures! 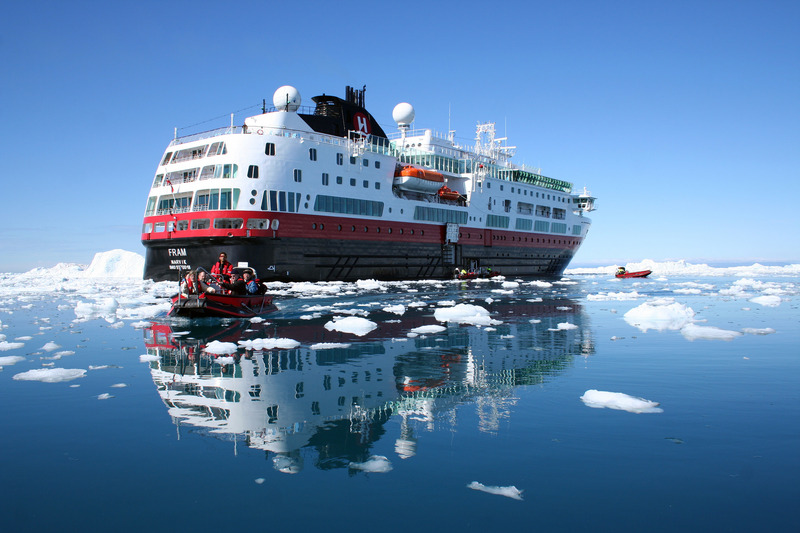 * Note: Cruising is not the only way to experience Greenland! You can also take land-based holidays in Greenland, with a guide or on your own. This entry was posted in Greenland, Greenland - Special Trips and tagged adventure, Arctic, cruise, cruise in greenland, cruise ship, cruising, expedition, Fram, Greenland, greenland cruise, Hurtigruten, sailing, tourism by polarphile. Bookmark the permalink.